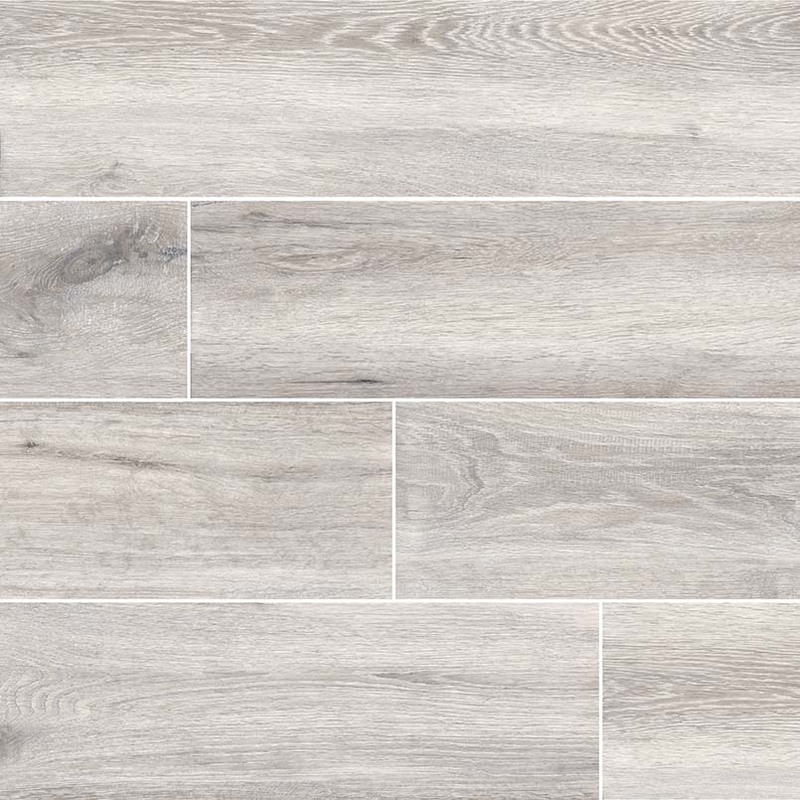 Platinum porcelain tile from the Antoni Collection resembles natural birch hardwood in shades of white and gray with subtle knots and fine graining. Low-maintenance and scratch and water resistant, this wood-look plank is perfect for families with kids and pets or high-traffic commercial spaces. Create durable floors, accent walls, backsplash, and countertops with this contemporary matte-finish wood tile.